Short Range Radio for Cops? 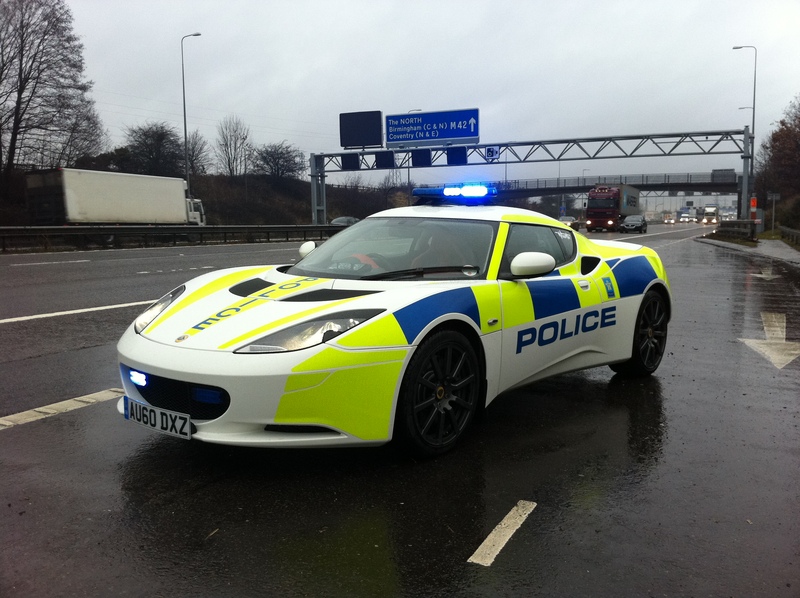 It is frustrating for emergency vehicle to be held up by traffic; the problem being particularly prevalent for motorway cops racing to where they are needed in heavy traffic at weekends and bank holidays. On those days there seem to be a large number of ‘Outside Laners’. In bright conditions the blue flashing lights on the cops behind them are simply not easily seen by inexperienced drivers. They hold up emergency vehicles. Clearly the cops need another means to warn drivers to move over. If the emergency vehicle had a short range forward directed radio beam, whose intensity is speed related, it could be picked up by other vehicles. This signal can then transformed into an audible and visual signals to alert drivers of cop cars approaching rapidly from behind.